In September of 1862 General Lee led his army across the Potomac River into Maryland. The experiences of George Rust Bedinger, Steve Dandridge and Ned Moore upon entering Maryland have been recounted in Lee's Invasion of Maryland. The ensuing battles in between Lee's Army and the Union forces in Maryland culminated at the Battle of Antietam, directly across the Potomac River from Shepherdstown, Virginia. As the Confederate army withdrew from the battlefield, the troops were pursued by the Union Army and fighting took place at and along the Potomac River near Shepherdstown. Union sharpshooters began to pick off Confederate gunners on the far side of the river and Union artillery shells were fired at the retreating Confederates, some of the shells passing over Shepherdstown, others crashing into Shepherdstown itself. The story of the residents of Shepherdstown, Virginia and their frantic and desperate experiences during the conflicts of Harpers Ferry, South Mountain and Antietam was written some years after the war by Mary (Minnie) Bedinger, who was then just eleven year old. Mary was the half-sister of George Rust Bedinger and the daughter of Henry Bedinger and his second wife Caroline Bowne Lawrence. 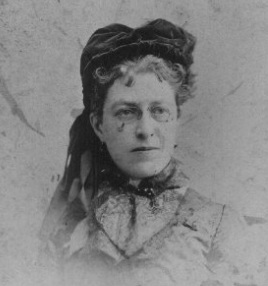 Mary’s account, “A Woman’s Recollections of Antietam”, was first published in 1886 by Century Magazine under the pseudonym of Mary Blunt. The article was again published, with very few changes, in the book Battles and Leaders of the Civil War a collection of stories and articles edited by Johnson and Buel, published in 1877. In the article published in 1877 the author was designated as Mary Bedinger Mitchell. Mary had married John Fulton Berrien Mitchell who had been a Federal Officer during the Civil War. John F. B. Mitchell was from Flushing, Long Island where the couple made their home after they were married. Mary begins the story when she first heard the roar of cannons at Harpers Ferry where Stonewall Jackson captured the Federal forces to the exit of Shepherdstown by the last of the Confederate wounded. As the wounded confederate soldiers struggled in to Shepherdstown the family of Edmund Jennings and Henrietta Bedinger Lee at "Bedford", the family of Caroline Bowne Lawrence Bedinger at "Rosebrake", and the residents of the town were thrown into dismay and horror of being overwhelmed by undernourished, wounded and dying soldiers. The compassionate townsfolk struggled with their limited resources of food, shelter and medical supplies to care for the sick and wounded. The first wounded arrived September 15th following the Battle of South Mountain and they continued to pour into town until after the Battle of Antietam, 19th of September. The story of the townsfolk and their frantic and desperate experiences during the conflicts was written some years after the war by Mary (Minnie) Bedinger, who was then just eleven year old. Mary was the step-sister of George Rust Bedinger and the daughter of Henry Bedinger and his second wife Caroline Bowne Lawrence. Mary’s account, “A Woman’s Recollections of Antietam”, was first published in 1866 by Century Magazine under the pseudonym of Mary Blunt. The article was again published, with very few changes, in the book Battles and Leaders of the Civil War a collection of stories and articles edited by Johnson and Buel, published in 1877. In the article published in 1877 the author was designated as Mary Bedinger Mitchell. Mary had married John Fulton Berrien Mitchell who had been a Federal Officer during the Civil War. John F. B. Mitchell was from Flushing, Long Island where the couple made their home after they were married. Johnson, Robert Underwood and Buel, Clarence Clough, 1887, Battles and Leaders of the Civil War, vol. 2, Century Company, New York, 794 p.
Mitchell, Mary Bedinger, 1877, A Woman's Recollections of Antietam, pp. 686-694, in Johnson, Robert Underwood and Buel, Clarence Clough, 1887, Battles and Leaders of the Civil War, vol. 2, Century Company, New York, 794 p.
Levin, Alexandra Lee, 1987, "This Awful Drama" General Edwin Gray Lee, C. S. A. , and His Family, Vantage Press, New York, 248p. Continued: Antietam and a Woman's Recollections of the Battle, a page which presents both a reprint of Mary Bedinger's article and an overview of the military operations concurrent with the happenings in Shepherdstown.